Plugins that munin-node uses are usually to be found in /etc/munin/plugins (or /etc/opt/munin/plugins). If the directory is empty you will need to fill it. The directory should have been filled by the package installation script or by you when you read the INSTALL instructions. You can fill it manually by symlinking to files in /usr/share/munin/plugins (or /opt/munin/lib/plugins). Or automatically by running munin-node-configure –shell | sh -x. This will which plugins it thinks are suitable on your system and make the symlinks. After making all the symlinks restart munin-node. 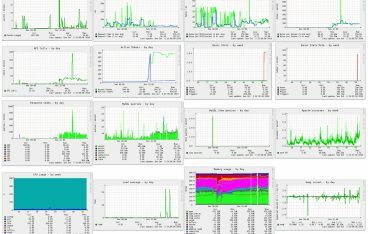 Then wait 5 to 10 minutes before re-loading the munin web pages to see graphs.